The Knit Beanie with Cuff is useful and colorful. It is made of 100% acrylic material and has ample space to add your brand’s logo. The Knit Beanie with Cuff is useful and colorful. It is made of 100% acrylic material and has ample space to add your brand’s logo. Its one size fits all. It is available in five great colors: red, royal blue, black, gray, and navy. 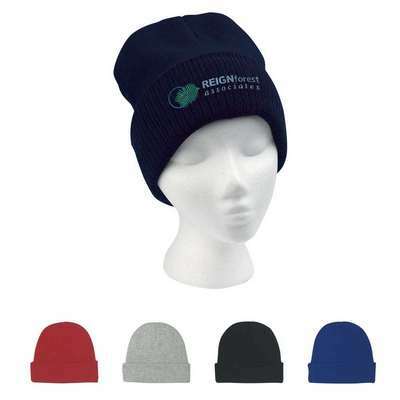 Embroider your company’s logo on the beanie to showcase your brand’s care and concern for the customers. They make perfect giveaways at malls, carnivals, and trade fairs, this holiday season and help in increasing the popularity of your brand. The Fleece Ear Band is small. It offers a simple and useful way to protect your ears against harsh weather.